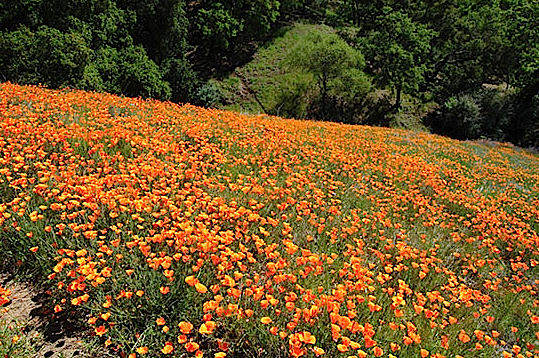 The first explorers in California marvelled at the display of wildflowers that illuminated the landscape every Spring. On record are reports of vast fields filled with golden poppies and bright yellow goldfields. “Early California was a massive flower garden. Densely growing native wildflowers and grasses of hundreds of varieties at one time covered large areas of ground, not just in open grasslands but also in the forests, oak woodlands and chaparral. John Muir dubbed the state ‘the Pacific land of flowers’.” (M. Kat Anderson, Tending the Wild). 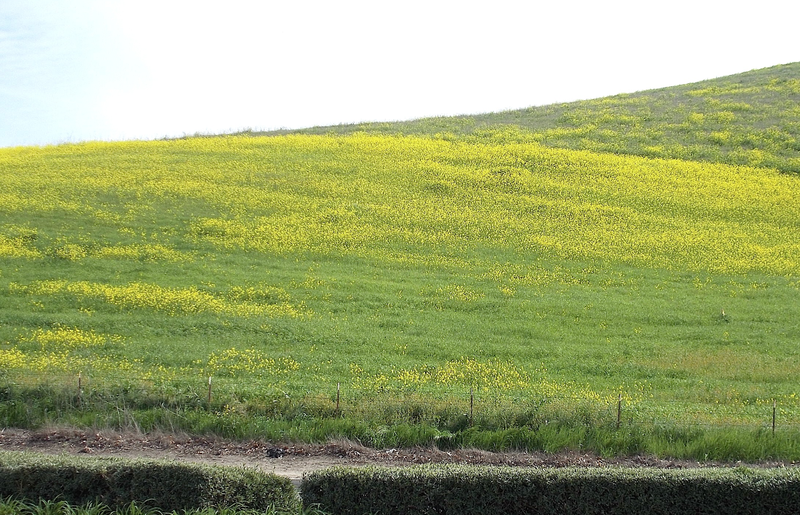 Vast fields of yellow can still be found on California hillsides. 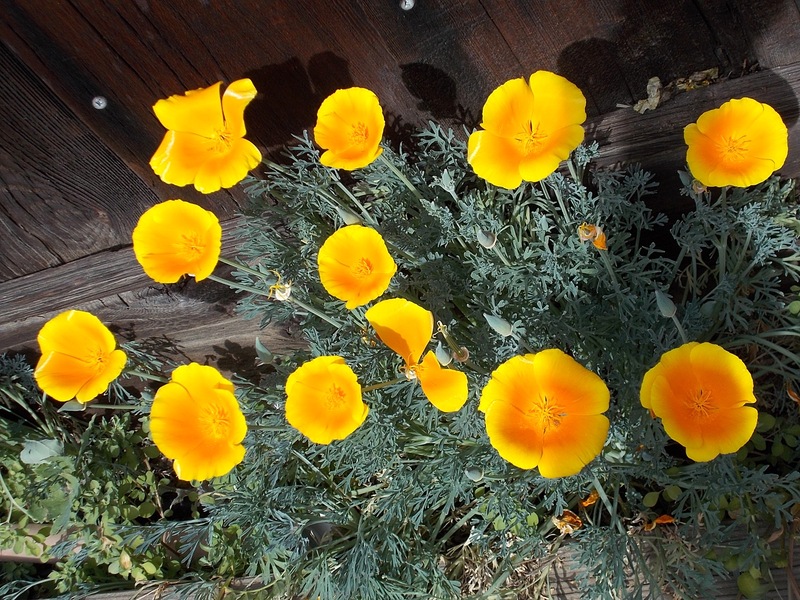 But it’s a good guess that they are not the native California poppies and goldfields, but the invasive non-natives field mustard (from Europe) and oxalis (also called Bermuda buttercup, but it’s from South Africa) which have hijacked the California landscape. 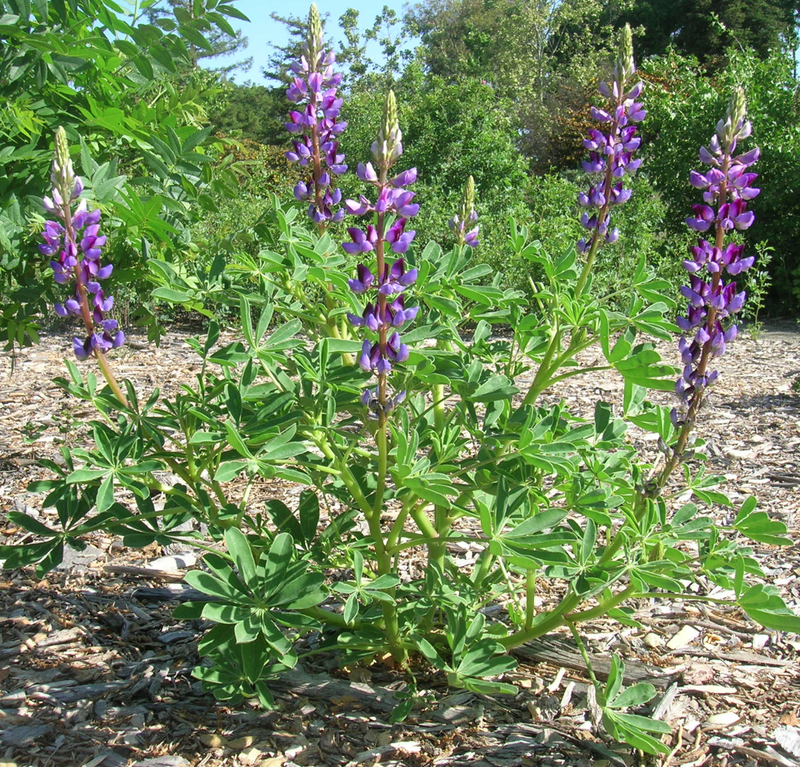 California native wildflowers are still plentiful, but you have to know where to look. One of those places is the Granada Native Garden, where we are successfully establishing populations of wildflowers that re-seed themselves year after year, depending somewhat on the weather. The wildflowers are short-lived, and they go to seed and dry up as soon as the weather gets warm – that’s part of their survival mechanism during the hot, dry summers. So visit the GNG very soon to see them in their glory. Several of the flowers are identified with markers that not only tell you their name, but also describe some of their interesting features, history and ethnobotany. Current Attractions Now Showing! Here are a few of the native California wildflowers that used to be common features of the California landscape. Many are in bloom now; some will bloom in a few weeks, or later in the evening. Remember that most photos can be enlarged just by clicking on them. 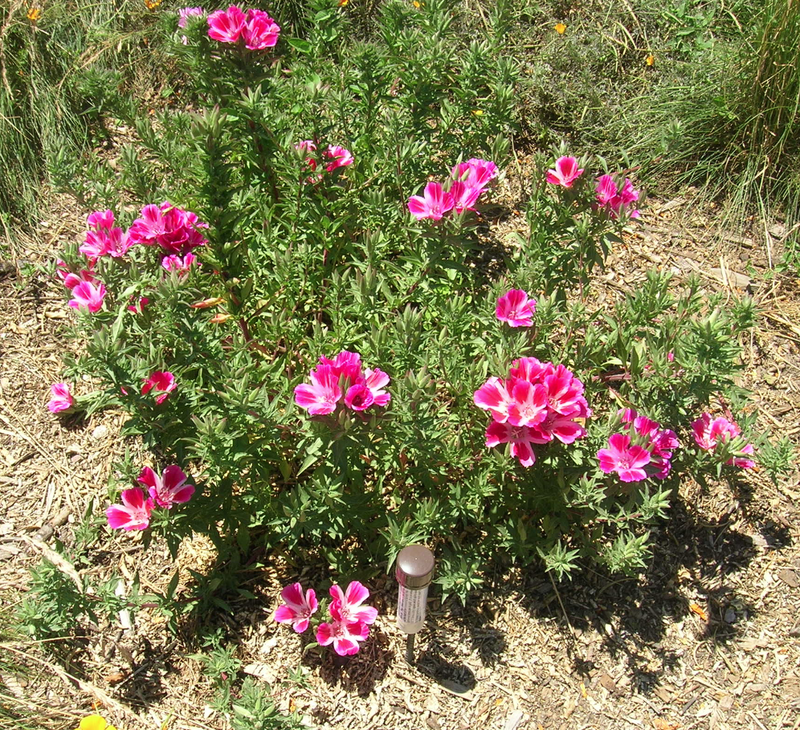 When you visit the GNG, you will notice identification markers in front of many of the plants (like the photo at the left). The long, tube-like markers tell you more information about the plant than just its name; you may lift the marker off its support post if you are interested, then put it back on its post. If you don’t see an ID marker in front of something that attracts your attention, continue strolling around the Garden and look for another location of the same plant. The seeds of goldfields were a highly nutritious traditional food for the Native Amerticans of California. Reportedly the seeds were ground up and mixed with water and seasonings to make a tasty pinole, either as a beverage or as a cereal resembling oatmeal. In the Spring, extensive fields of goldfields created “a vast acreage of heavenly yellow.” The blossom is also a nectar source for the endangered checkerspot butterfly. 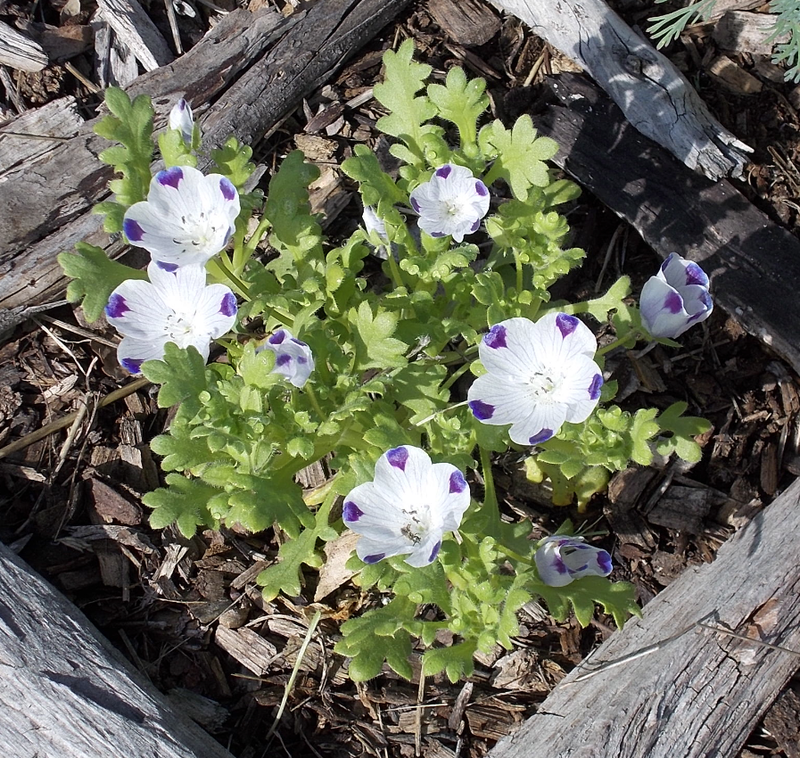 Wonder why this flower is called “five spot? Look closely at one of the blossoms, and you will see! Five-spot is one of the first flowers to appear in the Spring, and it produces seeds abundantly for the next year’s crop. Birds relish the large black seeds. And it’s an excellent choice if your child is inspired to start a garden of his or her own! 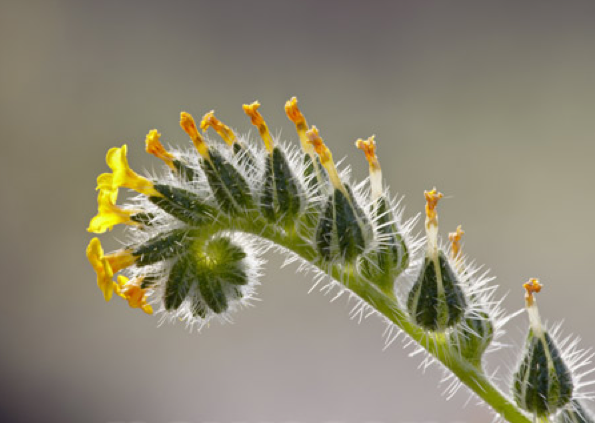 Fiddleneck is one of the earliest and most common of the Spring flowers. It gets its name from the shape of the yellow flower- head, which gets longer as it matures and curves downward – resembling the neck of a fiddle! 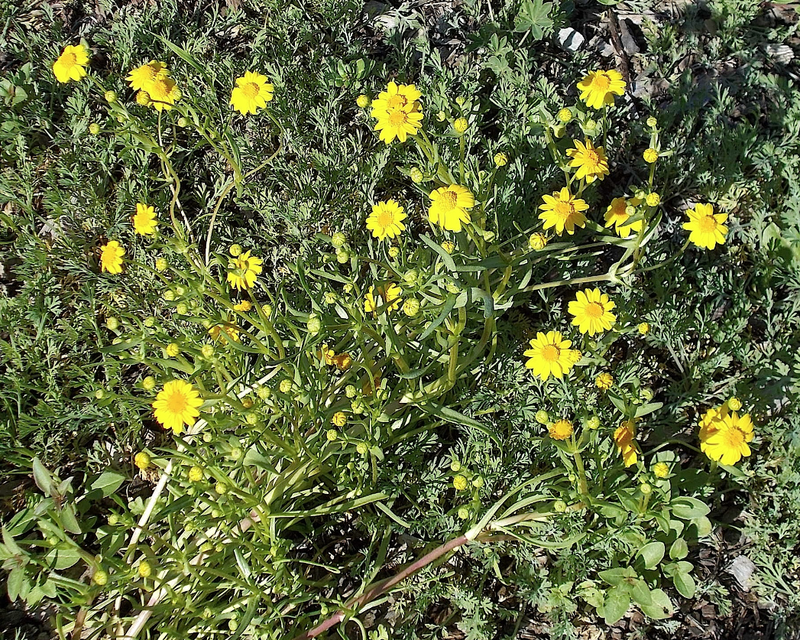 Native Americans harvested the seeds of the plentiful fiddleneck as a source of food. Fiddleneck is also a host plant for the painted lady butterfly, and goldfinches visit the blossoms every morning. 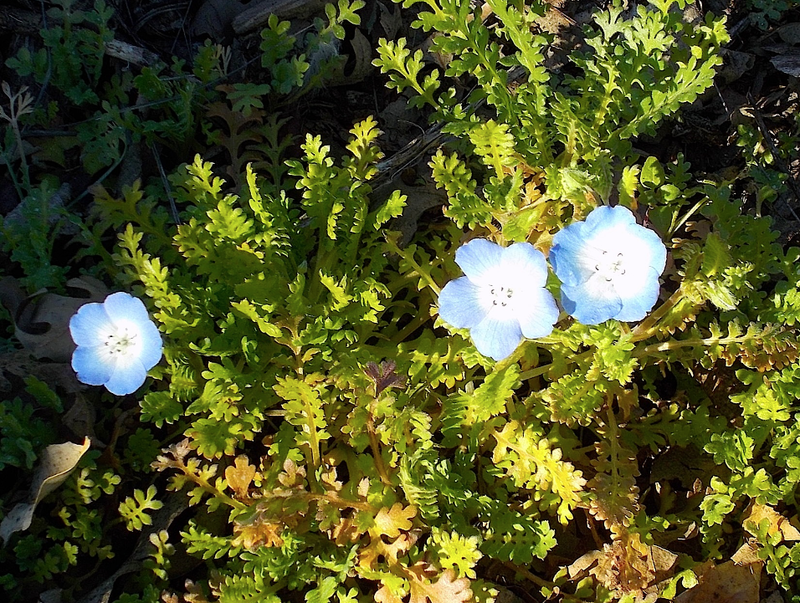 The explorer John C. Fremont wrote in his journal, “The blue fields of nemophila and the golden poppy represent fairly the blue skies and gold of California”. 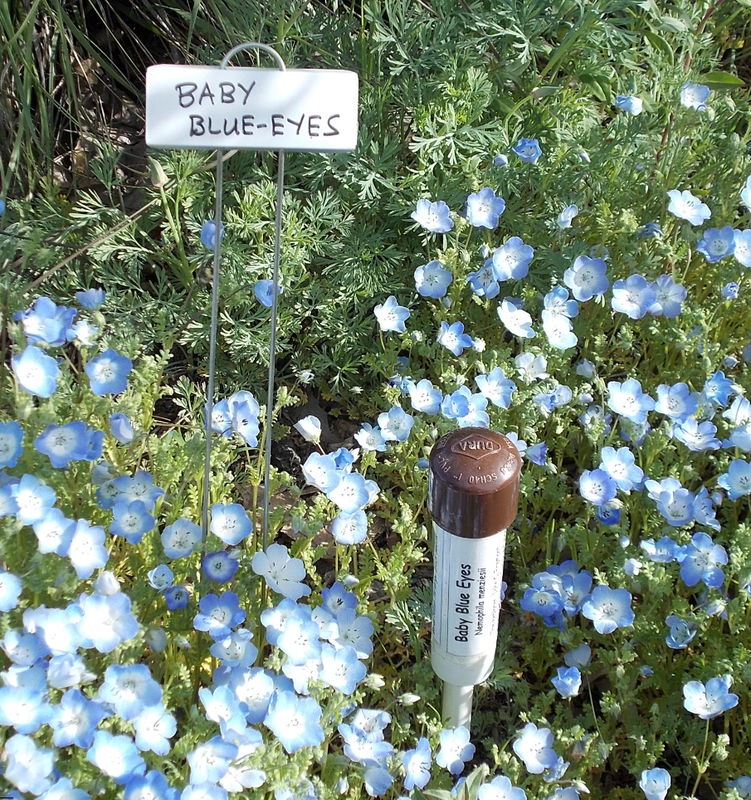 Baby blue eyes is one of the first flowers to appear in the Spring, and it pro- duces seeds abundantly for the next year’s crop. Reportedly, sometimes the flowers are pure white or dark purple. Birds relish its large black seeds. 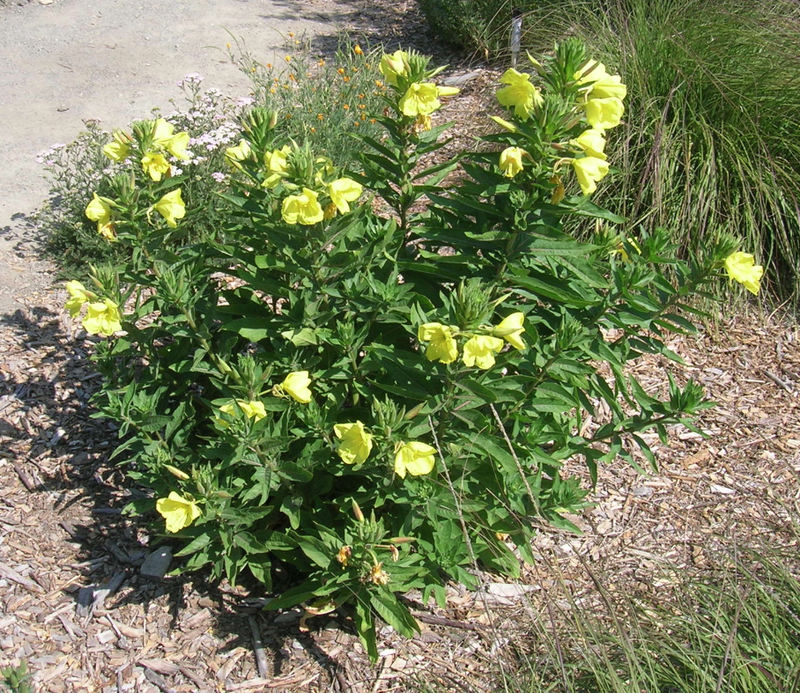 Unlike most flowers that open in the morning and go to sleep at night, the evening primrose is so-called because it opens at dusk. This allows the nocturnal sphinx moth to pollinate the flower as well as to obtain nectar for itself. The flower remains open for a while in the morning, and is also attractive to bees and butter- flies. By noon, the flowers wither and the next set of buds gets ready to open. This is one of the flowers that isn’t quite ready to bloom yet. Also Now Showing . . . While you are visiting the Garden, there are a number of other native plants that are currently in bloom, in addition to the ones pictured above. Maybe some would look good in your home landscaping! 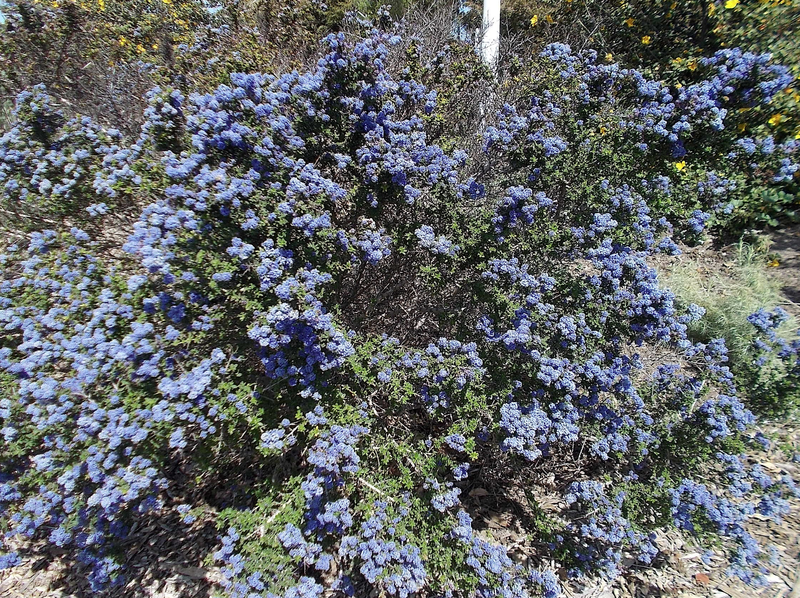 Among the most memorable are the Ceanothus varieties, also named California lilac; see the photos below. The others aren’t pictured here, but there are ID markers at each one to tell you something about it. 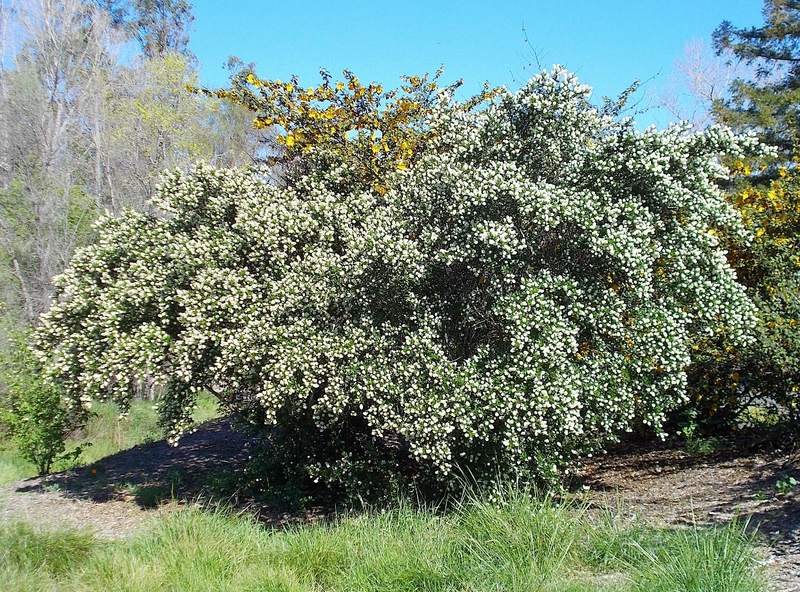 Here is a list: California lilac ‘Dark Star’, California lilac ‘Snow Flurry’, California lilac ‘Yankee Point’, Golden currant, Bush poppy, Flannelbush, Purple sage, yarrow, snowdrop, and last but not least, the lowly June grass. Explore the Garden and find things you’ve never seen before! More Help Needed at the GNG! 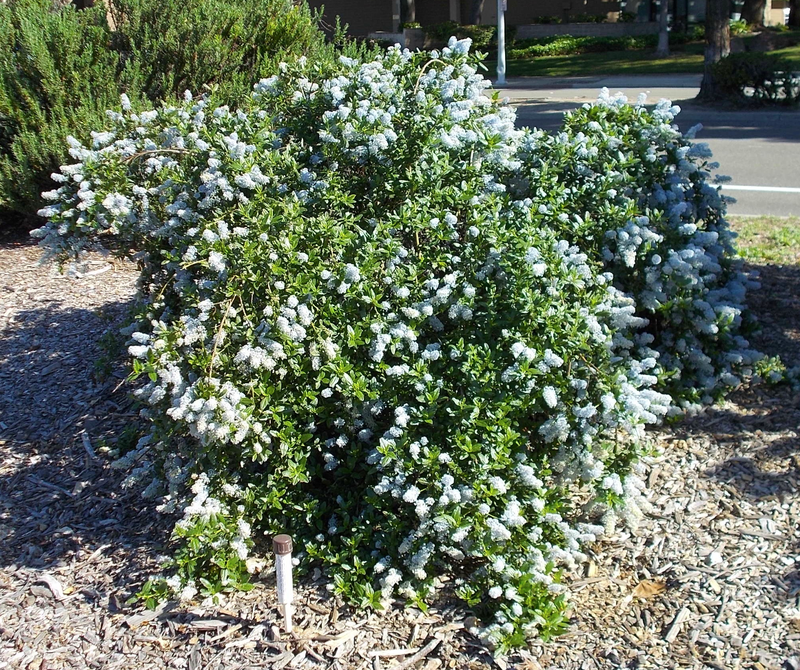 The Granada Native Garden could use an extra set of hands and feet to do whatever needs to be done at any time of the year – preferably on Monday mornings when Jim is there irrigating plants. Currently weeding is the priority. If you are interested in volunteering on a fairly regular basis, please contact Jim at < JIMatGNG1@gmail.com >. Thanks, Amy. I’m about to make a short addition at the end, about “snowdrop bush”, Styrax officinalis. I second Amy’s gratitude to you on another fantastic posting! I was lucky enough today to attend a Ranger Patti tour, and she too pointed out some of our amazing wildflowers here in the Livermore valley. I will email others from today’s tour a link to your post as they too would like to learn more about these wildflowers. Thanks for the comment. Last week I attended Amy’s wildflower tour at Sycamore, and returned with a list of about a dozen more wildflowers to add to the GNG.